David Alan Tepper was born on the 11 September 1957, in Pittsburgh, Pennsylvania, USA. He is a businessman, investor and hedge fund manager, best known in the world for being the founder and president of Appaloosa Management, a company which invests in public equity and fixed income markets around the world. His career has been active since the late 1970s. 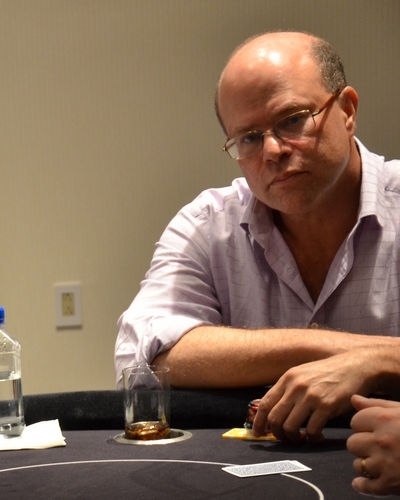 Have you ever wondered how rich is David Tepper? According to Forbes, it is estimated that the overall sum of Tepper’s net worth is as high as $10.4 billion as of early 2016, making him the 60th wealthiest person in the world. In 2012, he was ranked No. 1 for earning a paycheck of $2.2 billion from Institutional Investor’s Alpha. David Tepper spent his childhood in the East-end of Pittsburgh, raised in a Jewish family with two siblings by his father Harry Tepper, an accountant, and mother Roberta, an elementary school teacher. After graduation from Peabody High School, he became a student at the University of Pittsburgh, and graduated with a BA degree in Economics with honors in 1978. From a young age, he started investing; his first investments were in Pennsylvania Engineering Co. and Career Academies, which went bankrupt. However, he did not quit from his dreams, so after college his professional career in the finance industry began, as he started working as a credit analyst for Equibank in the Treasury Department. Dissatisfied with this job, he joined the Treasury Department at Republic Steel of Ohio and decided to do a MS degree in Industrial Administration at the Carnegie Mellon University’s business school. Afterwards, he was approached by Keystone Mutual Funds in 1984, but the next year, David was recruited by Goldman Sachs, and soon becoming the head trader on the high-yield desk, focusing essentially on the bankruptcies and special situations. After several years of successful management, David left the Goldman Sachs, and formed his own company, Appaloosa Management. In the beginning, the company served as a junk bond investment boutique, but later grew in operations, and became a hedge fund. During the 2000s, the company grew in its worth, attracting major investors such as General Motors among others. In 2007, it was reported that the company was valued at around $5.3 billion, but each year its value increased, which resulted in $12 billion in 2010, and.as of now $14 billion, making it the main source of David`s net worth. Thanks to his successful career, Tepper has earned several awards and recognitions; in 2014, Forbes listed David as one of the 25 Highest-Earning hedge fund managers for 2013. Regarding his personal life, David Tepper has been married to Marlene Tepper since 1986, with whom he has three children. Their current residence is in Livingston, New Jersey. In free time he enjoys sports like baseball, soccer, and softball. As with many other billionaires, Tepper is known as a philanthropist, as he has donated over $55 million to the Carnegie Mellon University’s business school, over $1 million to United Jewish Communities of New Jersey, and to other humanitarian ventures.